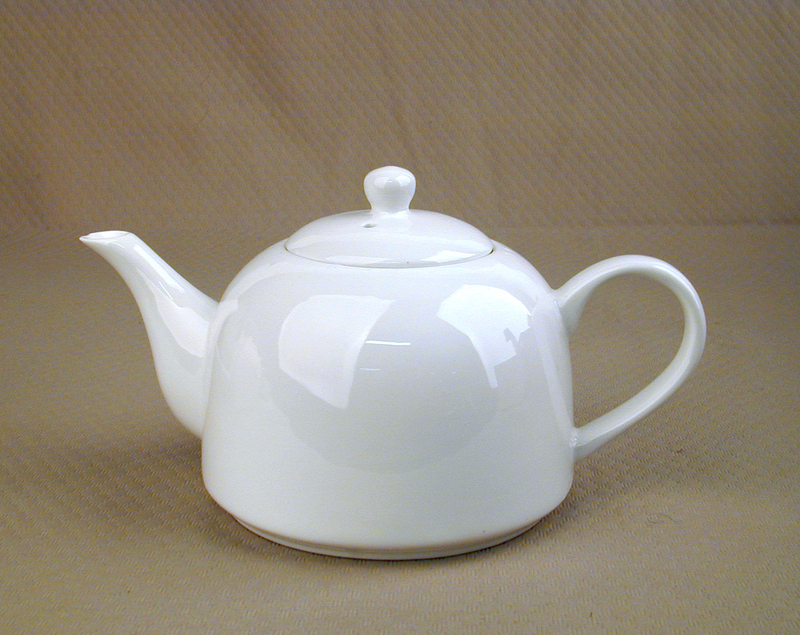 A glazed white ceramic teapot. It has a glossy finish that is easy to wipe clean, and a well-designed spout for clean pouring. 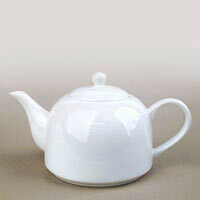 The spout is equipped with a built-in strainer to filter out any large tea leaves as you pour.